At the beginning of the 19th Century, coal, iron ore, oil, and natural gas were plentiful here and these resources made for swift development of the region. The abundance of raw materials opened the area for mining, drilling, and blast furnaces. But this did not last. The mines and oil wells became too expensive to operate. There are however, some oil wells still producing oil today, especially in Athens, Meigs, Morgan and Muskingum Counties. When the state was being surveyed for the Ohio & Erie Canal, the southeast quadrant was found to be not suitable for canal building. The more likely reason was political infighting that dictated where the canal would go. 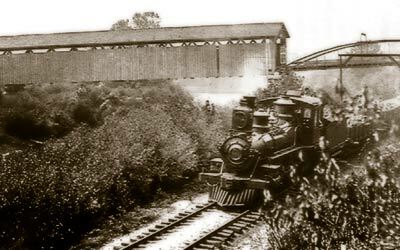 In 1841 local industry began building the Hocking Canal branch that connected Nelsonville and later Athens with the the main branch of the canal at Carroll, Ohio. A number of years later they would expand the canal by digging a shorter route to the Ohio River by extending a canal branch from Dresden (today this is near the Longaberger Basket Company) to Marrietta. But by the time this section was completed, the age of canals was almost over and Marrietta had missed a golden opportunity. Some parts of the area have benefited from the scenic beauty unlike anywhere else in the state. 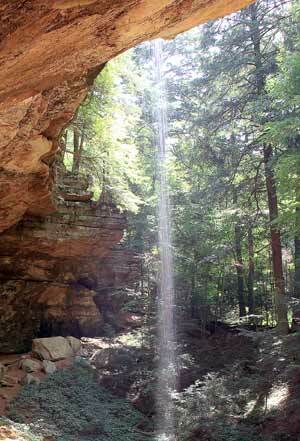 The Hocking Hills has become the best known and most popular. Here visitors can find challenges that will fit into all levels of desired activity. Stunning cliffs overlooking deep gorges are popular tourist destinations year round. The Hocking Hills region has 9 state parks, over 9000 acres of state forest land, part of the Wayne National Forest, contains 4 nature preserves and one of the largest metro parks in the state. So popular has the Hocking Hills become, that a new industry has sprung up in the area: weddings with special honey packages. The Hocking Valley Scenic Railroad also capitalizes on the rustic beauty found in Ohio's hill country. They provide regular excusions throughout the season as well as special events at various times. With the increasing popularity of the HVSR, Nelsonville is also seeing an increase in visitors. 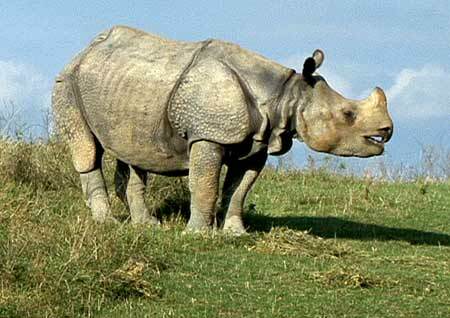 THE WILDS lets visitors go on a safari without leaving Ohio. The Wilds has a restaurant, gift shop, and educational displays. Many special activities such as bird watching, hiking, educational seminars, overnight camps, day camps and group retreats are offered at The Wilds, but the main feature is seeing the animals roaming the hills of southeast Ohio. Canopy Tours began offering a unique opportunity for thrill seekers willing to pay a tidy sum for zipping through Hocking hills tree tops. Located just south of Rockbridge. The adventure includes training and about 2 hours worth of zipping through a networkover the Hocking River and fern-covered rock formations. Wayne National Forest is celebrating it's 75th year. Ohio's only national forest, Wayne National Forest consists of over 241,000 acres spreading out over 12 counties, offers a wealth of natural recreation opportunities in Southeast Ohio. Each year over 500,000 visitors enjoy fishing, bird watching, equestrian riding and of course, hiking. Wayne National Forest offers over 300 miles of trails open to hiking. 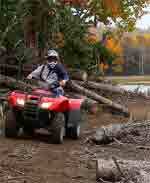 There are also trails for mountain biking and ATV use. Much of the Wayne National Forest land is reclaimed coal mining lands which has been purchased and preserved by the federal government.